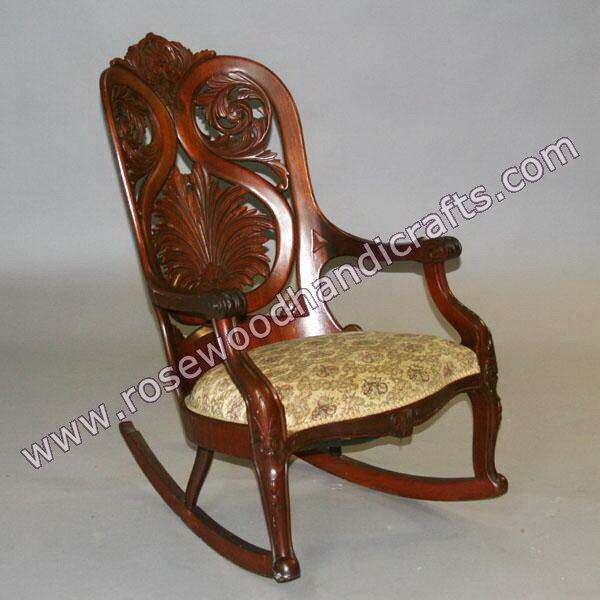 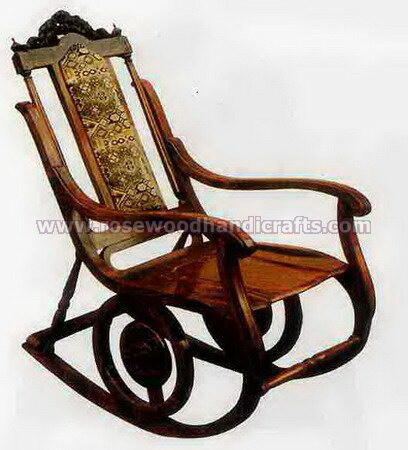 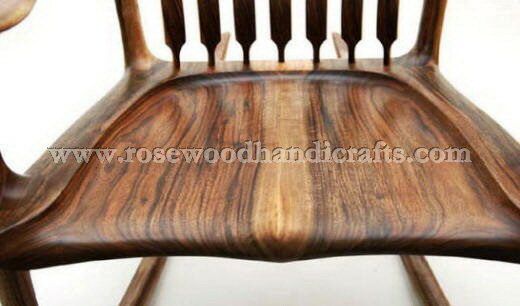 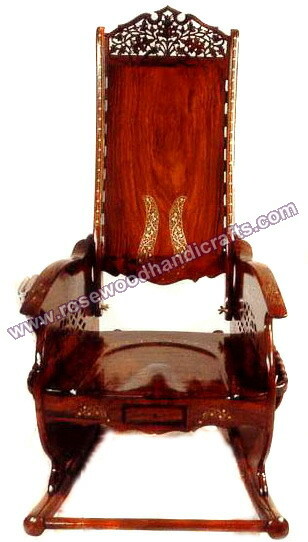 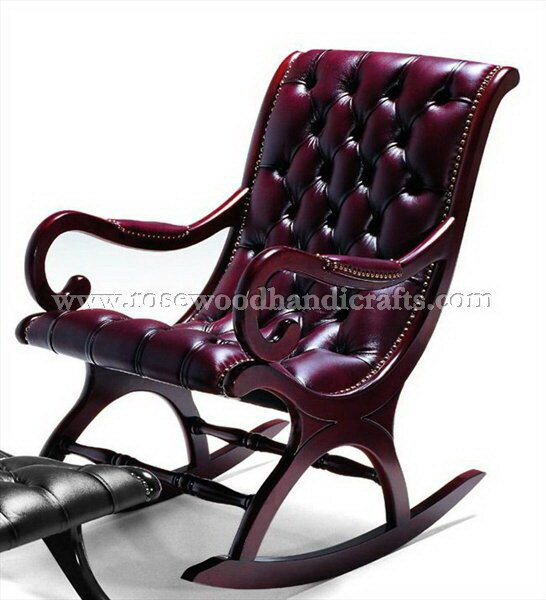 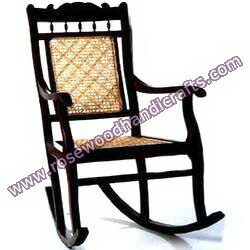 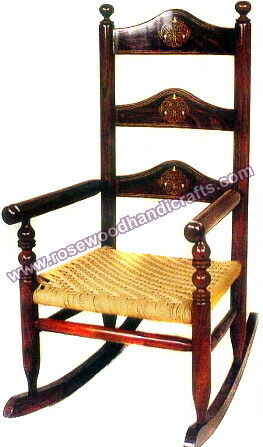 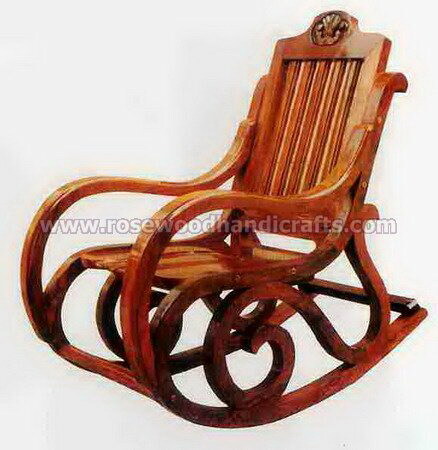 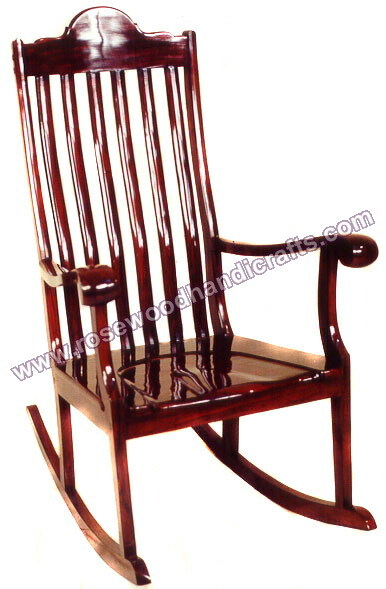 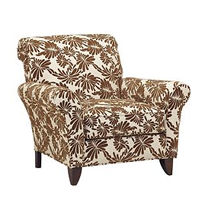 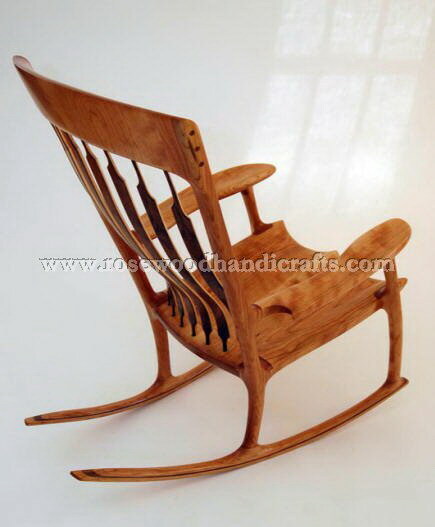 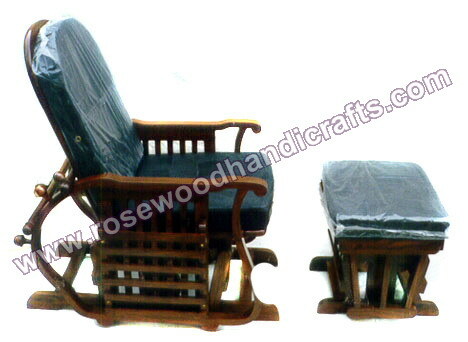 A rocking chair, also called a rocker, is a wooden side chair or armchair having legs mounted on curved rockers. 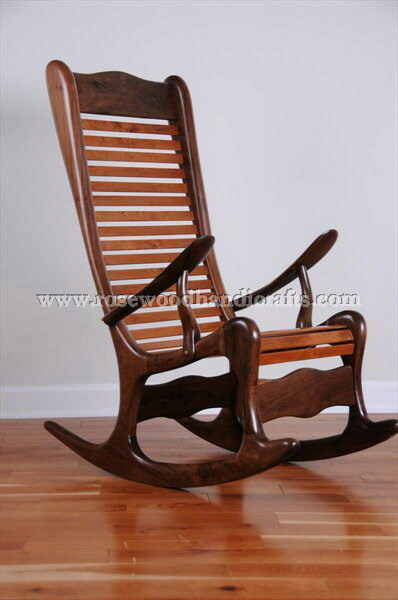 This makes the wooden chair sway back and forth. 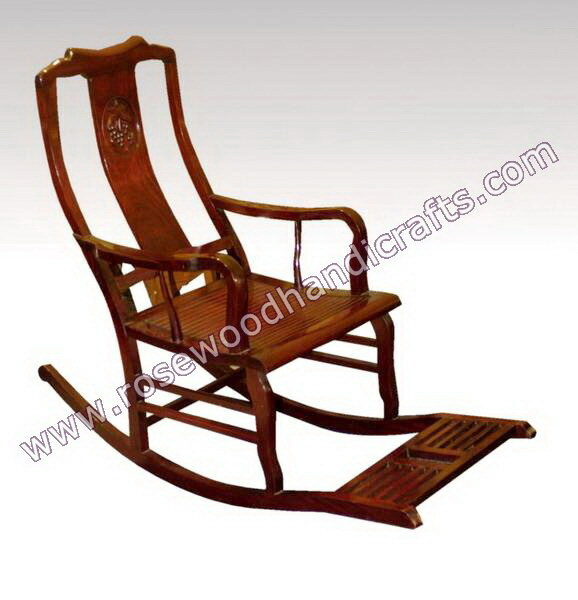 A rocking chair can be on springs or on a platform- the platform rocker- in order to avoid crushing anything that gets under the rocker.